With all the beautiful raspberries we’ve picked the past month, I decided to take my favorite cold sweet tea to a new level of delicious. I made Raspberry Iced Tea. And it’s absolutely heavenly. 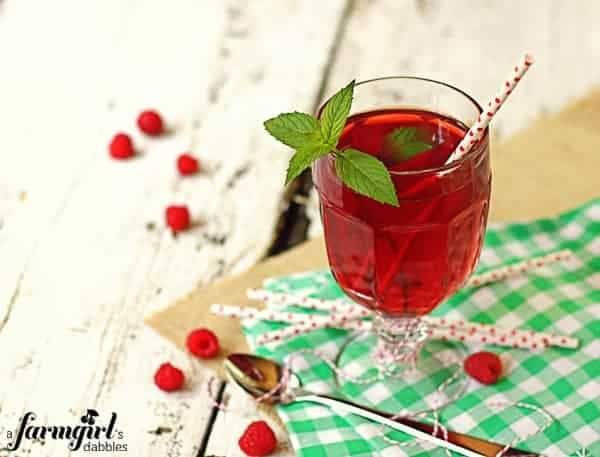 Unlike many of the flavored teas offered on menus these days, with cloying sweetness and distinctly unnatural flavor additions, this iced tea shines brightly with true berry flavor. And because I find mint in my tea irresistible, I coaxed some fresh garden mint to mingle with the raspberries, adding a layer of subtle coolness. I think this is about the most perfect glass of flavored iced tea. With its ruby red gorgeousness, warmed by sun-kissed summer berries and cooled by refreshing mint, it beckons me to slow down. Way down. And isn’t that what a glass of tea is truly all about? 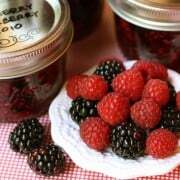 In a medium bowl, combine the raspberries and sugar, crushing the berries with the back side of a wooden spoon. Stir in the mint and set aside. Sprinkle baking soda into heat-proof pitcher. Pour in boiling water and add tea bags. Let steep for 15 minutes. Discard tea bags. 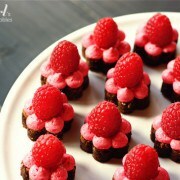 Pour tea into raspberry mixture and let stand at room temperature for 1 hour. Line a colander with a layer of cheese cloth and place it over a large bowl. Pour the raspberry tea mixture through the cheesecloth. Bind up the cheesecloth and press on it with the back side of a wooden spoon to squeeze out all the delicious raspberry juice. Discard the cheesecloth with the solids. Pour in cold water. 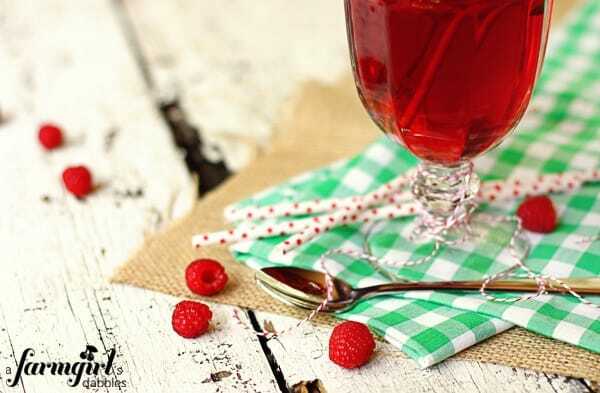 Transfer raspberry tea to the pitcher and bring to room temperature. Refrigerate until cold. If you like your tea sweeter, add sugar as desired. This is delicious! My little girls and I had a blast making it today. It was a little sweet for us so we added more tea and water. We also mixed the pulp with some vanilla yogurt and froze it for ice pops that we enjoyed after dinner. 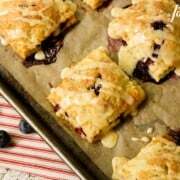 Thank you for this recipe! Can I asky why did you put a pinch of baking soda in the jug before you steep the tea? How did you know I’m in love with fruity iced tea??? Love this so much. I Could get lost in your photos Brenda!!!! Again, just WOW! Looks so vibrant and refreshing! This is making my mouth water! I wish I had a pitcher of this tea in front of me right now! This looks so refreshing, beautiful photos. Wish I had a glass right now! 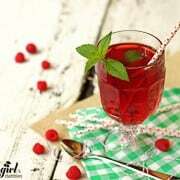 This looks like the perfect refreshment on a hot summer day. I love how natural the ingredients are and how pretty the color is! Mmm the perfect summer treat! Oh my goodness… those pictures are so stunning!! Thank you, Kristen – have a great weekend! You photos are SO fantastic, I’m getting really envious! I don’t even drink tea, and I want some of this because the photos are so gorgeous! Where did you get the super cute polka-dot straws used in your photos? They look like they’re paper, which I’ve been searching for. paper straws are all over Etsy. If you haven’t checked there I highly recommend that you do! I don’t know of brick and mortar stores that carry them, but there are many sources online. Hello Rose – I ordered mine from Amazon, but a quick online search will bring up many other suppliers as well. I had the pleasure of attending a tea party with two lovely young ladies last week, ages 8 and 6, hosted by the 6 year old. She served her blueberry muffins and raspberry iced tea and the iced tea was a delicious as her muffins. I love your recipe! That makes me smile. What a sweet party.